Start A Fire is the campaigning platform for European non-profits. 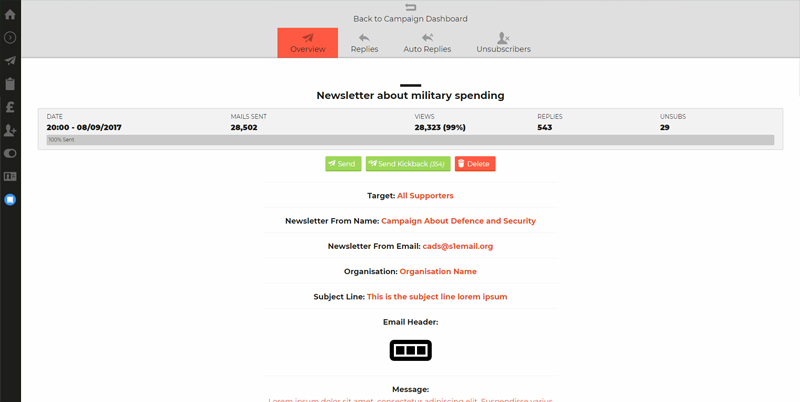 Start campaigns, petition politicians or decision-makers, create beautiful emails and fundraise. Start A Fire is the only advocacy software you need. 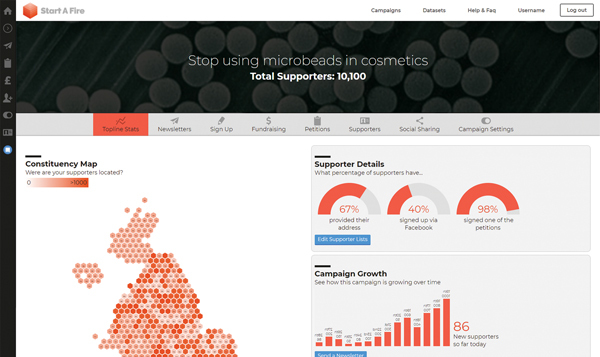 Start A Fire is a platform designed with a powerful campaigning engine at its heart. 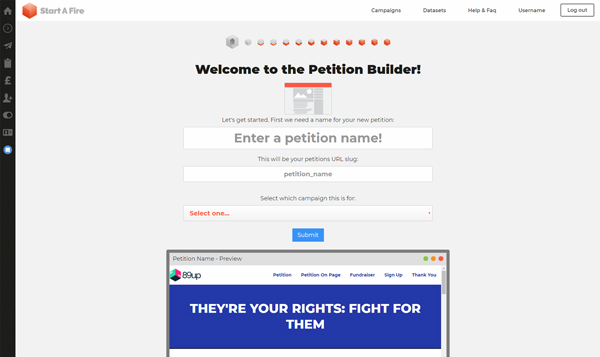 Whether you are an NGO, a politician seeking election, a trade union or a grassroots campaign group, we can help you mobilise the people who care about your cause. Start A Fire is powerful and Data-led. 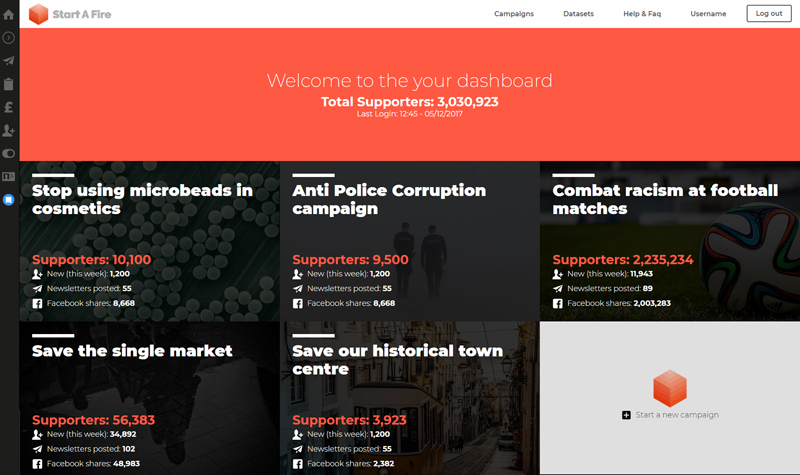 With access to huge datasets from databases of politicians across the globe, you can mobilise people to take part in your campaigns. You can fundraise for your case, spread the word through intelligent social media insights and lobby politicians and decision-makers. 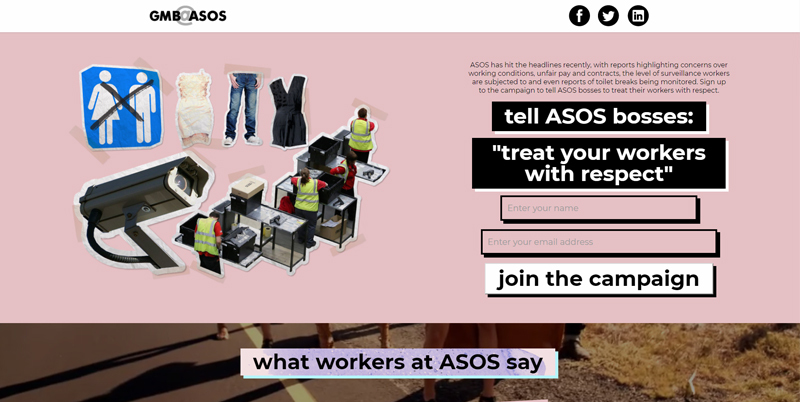 Start A Fire is designed from the ground up as a fully mobile responsive platform. Meaning you can make updates and start new campaigns from anywhere and at any time at the drop of a hat. The platform is dynamic and hosted on cloud servers in the EU. Your data is safe, secure and ICO compliant. 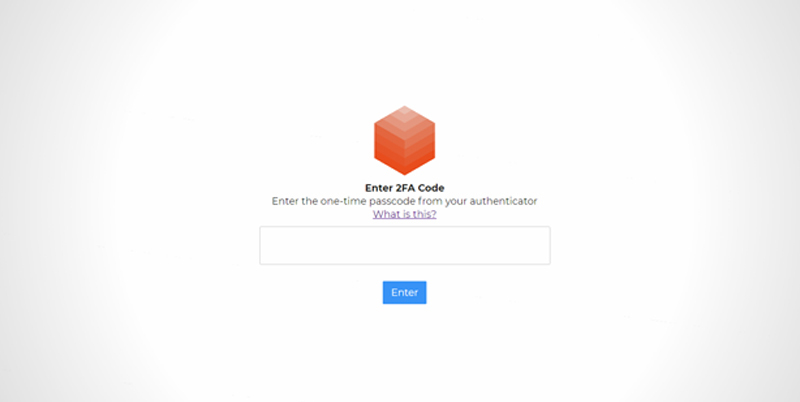 Two-factor authentication is enabled as standard. 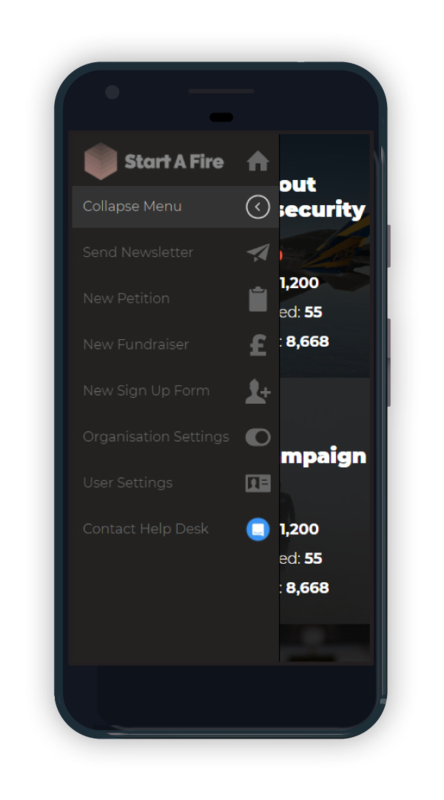 Start A Fire will allow you to campaign with highly optimised and cross-platform compatible HTML emails and custom campaign pages. Our in-built demographic data and database of world politicians means you can get data insights or run global campaigns without the need for any expensive extras. Start A Fire is kindly supported by the Joseph Rowntree Reform Trust. © 2017 89up limited or its affiliated companies, all rights reserved.